Email is vicious. You get 100’s (or 1000’s) of emails competing for your attention every day. Why bother? Why care? Why not just throw in the towel? Well, the reason is simple — because email has been around forever and it’s not going anywhere anytime soon. Email just works. At its most basic level email is designed to get information across quickly and effectively. It still does this incredibly well and almost too well, to the tune of more than 168 million emails sent every minute and over 188 billion emails sent every day! Email has a low barrier to use. Everybody has an email address. It takes 3 seconds to sign up for one and even my dad can use it (barely). Unlike Twitter or Facebook, which has a comparatively higher learning curve, email is incredibly easy to grasp, leading to more than 3.3B email accounts and growing at more than 6% a year. Email is the original unique identifier. Look at all the walled gardens you interact in – Apple iTunes, Facebook, Google+, Twitter etc. ; each one of these networks are built using your email address. It’s the original identifier and we still carry it around and use it as much as we do our own name and, in fact, we are much more likely to change our physical address than our email address. That said, email is still incredibly frustrating. The amount of email you’ve been getting over the last decade has increased exponentially and because there is no real cost associated with sending 1 email or 10,000 (vs. traditional marketing channel costs), you’re inundated with email every day. To truly survive and thrive with email, we need to learn how to make it work for us. There are three key steps to understanding your problem and the path to email nirvana. Marketing email messages: These are the emails you get from Groupon, Warby Parker, Amazon etc. trying to get you to leave your inbox and visit their site to make a purchase, buy some shoes, book a trip to Tahiti etc. This is the majority of your email. Marketing emails typically have an open rate of less than 20%. Notification email messages: These are the emails from the myriad of social networking sites you signed up for, letting you know when someone does something. Someone sends out a tweet, you get an email. Someone tags you on Facebook, you get an email. Someone tells you about that new social network (oh hey, new MySpace) you get an email. And so on. Notification emails typically have a higher open rate, between 20-40%, depending on the sender of the notification email. 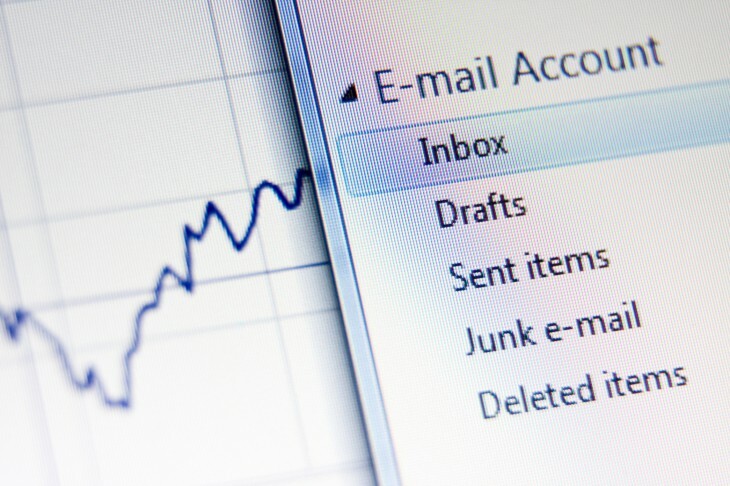 Personal email messages: These are probably the emails you care the most about. It’s written by someone that actually breathes (vs. an automated bot in the previous cases) and has the highest chance of being opened, read and acted upon by you. Both marketing and notification email senders try to mimic personal email and use social validation to get you to click on the email, but can never quite replicate it as well. What’s really interesting (and not particularly surprising) is the emails that have the highest open rates are those that directly provide instant value. For instance, from our anonymized aggregated data at PowerInbox, we can see that PayPal emails (notification) have an open rate of 56%, while LivingSocial (transactional) has an open rate of around 17%. A normal user receives about 60% transactional, 30% notification and 10% personal emails a day. Yup, your most prolific email sender is probably an automated bot. Once you have an idea of the different types of emails you receive, it helps to figure out the type of email user you are and what causes you the most pain. Inbox Zero: This is the email user who achieves email nirvana by making sure their inbox has no unread email in it. Whether they actually respond to an email is irrelevant as long as the email has been opened and is no longer bolded in their inbox. This applies to all types of email – transactional, notification and personal. First Responder: This is the email user that has a compulsion to respond to their personal emails in an incredibly quick time. This user is task driven, time driven and achieves nirvana when there is no outstanding activity to be performed in their inbox. This applies primarily to personal emails. Design Lover: This is the email user who values a good email experience (good design, engagement, interaction) above all else. Their nirvana is actually not even in email, because their main frustration is that the existing email experience isn’t very user friendly and the list view hasn’t evolved to keep up with how we consume information on the rest of the internet. They want a more usable, more interactive, more intuitively designed email experience. It’s important to keep in mind that these personas are on a spectrum — what causes pain in email is different for each user, depending on how they use email and it usually changes over time. So you could start off as someone that enjoys getting to inbox zero and move along the spectrum to end up as someone that needs to check every single message. Once you know what makes you happy in email, invest in using the email tools that are most likely to get you to that point of nirvana and keep you there. The good news is that there has been a lot of incredible innovation in email over the last few years and almost all the pain points above can be addressed by specific tools – for instance, you could try Alto or Incredimail if user experience and design is important to you. Mailbox is great if getting to Inbox Zero is critical to you; use Tempo if a great calendaring system is what gets you going; Download Taskbox if you like to treat your email like a To-Do list and so on. The bad news is that there isn’t a single tool that integrates all of these capabilities, because unfortunately, we all still use email in very different, very unique and very personalized ways. The volume of emails being sent is still increasing significantly. For instance, top online retailers sent their customers 177 emails each in 2011 and 211 emails in 2012 — an increase of 19% over a year (and 120% over 5 years). This number is going to keep its hockey stick growth mainly because email is still one of the most effective forms of marketing and email still has an incredibly low cost associated with sending it. There is a strong push by consumers towards email usage and consumption on mobile devices, which has upended how retailers create and deliver content. In 2012, 43% of email was opened on a mobile device and more people now use their mobile phone to read email than to make a phone call (79%). Email might be a messy ball of contradictions now, but in the future it is going to be dynamic, personalized (in real time) and completely interactive. The reason email has survived for so long is the same reason it will continue to thrive in the future: it just works — but it can work better. I, for one, can’t wait for it. Improve your email marketing skills and efficiency in less than 2hrs. Sign up for this upcoming TNW Academy class.